Reliance Jio is on top of news channels – print media as well as online portals. After shaking the Mobiles Sim Network, the company is now working on its Jio DTH service and Jio GigaFiber – Jio Broadband Service in the market and both these services are also expected to be launched very soon with the some very attractive Launch / Prime Memberships Offers and that is also with a disruptive price tag. Jio DTH Set Top Box is ready and picture is out now. We can expect the launch of Jio Broadband service and Jio DTH together. It is heard that Reliance Jio GigaFiber Service is on testing in Pune and Maharashtra at present and this service will be totally based on the Optical Fiber Technology to provide upto 1GB/PS Internet Data Speed. 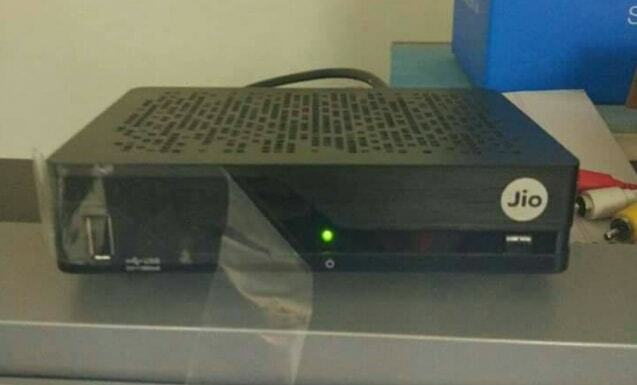 It is also said that this Set Top Box not only for watching TV Channels but the same will work for internet users for browsing net and it is a broadband connection compatible INTERNET SET TOP BOX. By keeping in mind all the previous services and plans launched by the Reliance it is sure that both these services will also be launched with attractive offers and discounted price plans. If you have any queries you can write in the comment box. You can also follow usp on Social Media Channels. Will update on these services very soon, So, stay tuned with us ……….